The Stihl BGA85 Lithium-Ion Battery Cordless Leaf Blower is our most popular battery powered leaf blower because of the blower output and low noise. This cordless blower delivers the most blower output of all our electric and battery powered leaf blowers, yet is still meets many noise compliant regulations. No gas. No cord. No emissions and almost no weight. The STIHL BGA 85 handheld blower features a powerful 36-volt, lithium-ion battery for excellent blowing power that is quiet, clean, and best of all, cordless. This lightweight blower is extremely compact, weighing a mere 7 lbs. without battery, yet it delivers over 100 mph of air to move stubborn yard debris. And don’t expect any gradual power drops – this blower will run at full speed until it’s time to recharge. An ideal blower for use around the home. And the BGA 85 blower is part of the STIHL Battery KombiSystem. 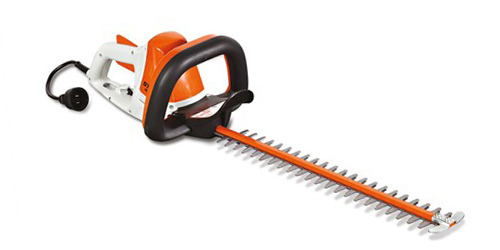 The battery can be used interchangeably among a family of other STIHL lithium-ion products – including a chainsaw, grass trimmers and a hedge trimmer. Control Lever – With the control lever, the engine speed can be continuously adjusted to regulate airflow. When the lever is released, the engine stops. Hanging Slot – The built-in hanging slot allows for easy storage when not in use. Multi-Function Handle – With the multi-function handle, all of the blower’s controls can be adjusted with one hand, allowing simple and reliable operation for both right and left-handed users. In addition, the handle’s control lever allows the user to easily adjust the engine speed. Reduced-Emission Engine Technology – Caring for Nature – The STIHL Inc. “Caring for Nature” seal identifies its powered products that are more environmentally conscious, producing zero or low exhaust emissions. STIHL Inc. defines “low exhaust emissions” as being cleaner than EPA and/or CARB exhaust emission standards. Safety Locking Button – All STIHL Battery KombiSystem products feature a safety locking button or retaining latch that prevents the unit from unintentional starts when the battery is inserted. 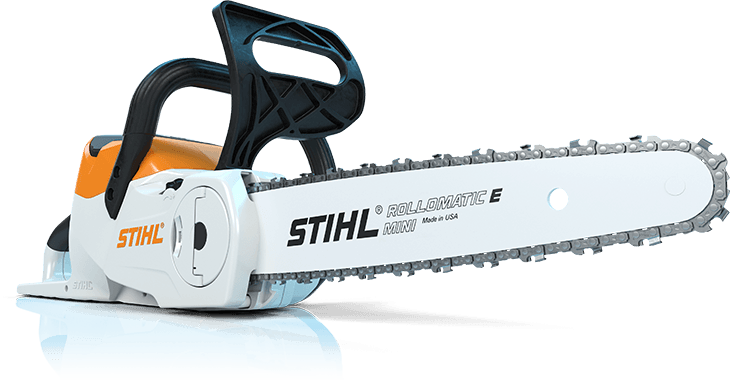 STIHL Electric Motor – Lightweight and compact, STIHL electric motors require minimal maintenance and feature low noise levels and reduced vibration. Two-Stage Axial Fan – The two-stage axial blower operates like a fan to maximize the volume of high-speed air, delivering excellent blowing performance.